Geneva and I were talking the other day and she asked me a good question. Why haven’t I ever posted many pictures of Blue Plum here on Killer Characters? I didn’t have a good answer for her, although it could just be that we've had so many other things to talk about. I take turns blogging with other folks from Blue Plum, and we’ve all sprinkled pictures of knitting and food and lots of cats and whatnot into our posts. And once Joe did a post with a lot of pictures he took in the woods. But Geneva was right, we’ve never posted many pictures showing the town we all love. So here you go – welcome to beguiling Blue Plum, Tennessee. Isn't the old advertisement fun? And here's a nice place to sit in the park. Don't you love the mural? So there are some of my favorite views of Blue Plum (Geneva's favorite is the gazebo). But did you notice something missing? No pictures of the the Weaver's Cat! 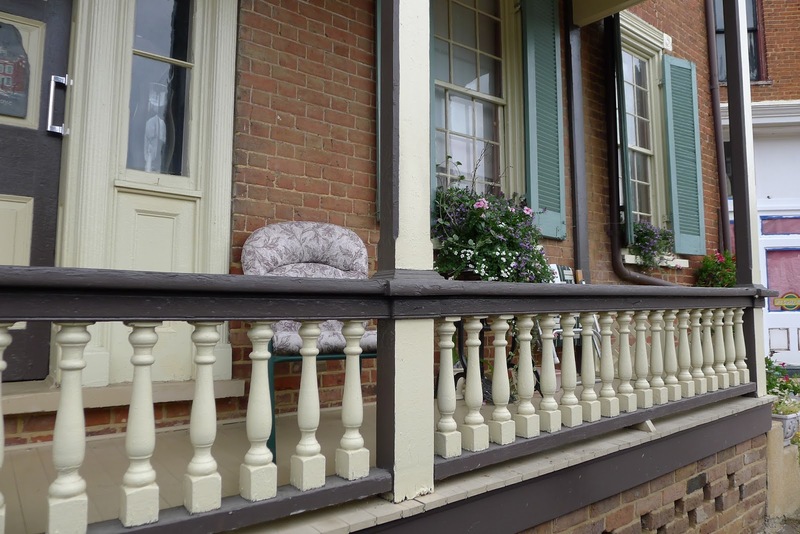 If you'd like to see my fiber and fabric shop, and more pictures of Blue Plum, stop by our author's Pinterest page (prepare to drool over the goodies in Mel's cafe). Don't you love small towns? I feel very lucky to live in Blue Plum. 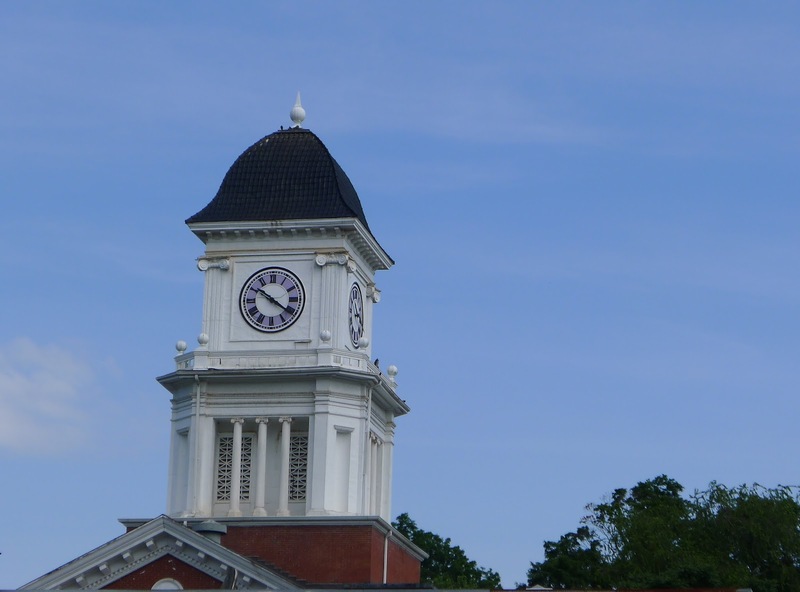 Do you live in a small town, or is there one you'd like to move to? Giveaway! 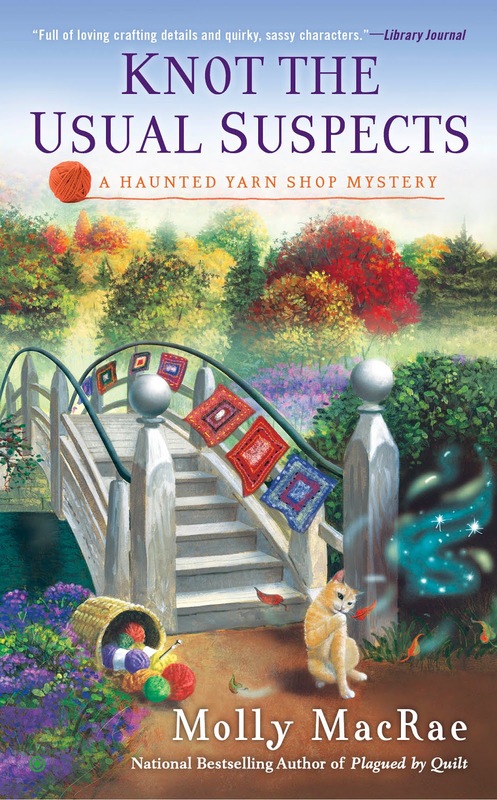 Leave a comment by midnight June 24th for a chance to win a copy of one of the Haunted Yarn Shop Mysteries (your choice). Please include your email address. Molly MacRae is the author of the award-winning, national bestselling Haunted Yarn Shop Mysteries and the Highland Bookshop Mysteries (the first book in that series, Plaid and Plagiarism, comes out in December 2016 and is available for pre-order now). Visit Molly on Facebook and Pinterest, connect with her on Twitter @mysteryMacRae, or find her the first Monday of each month at Amy Alessio’s Vintage Cookbooks and Crafts. How cool, Becky! It's such a pretty part of the country. 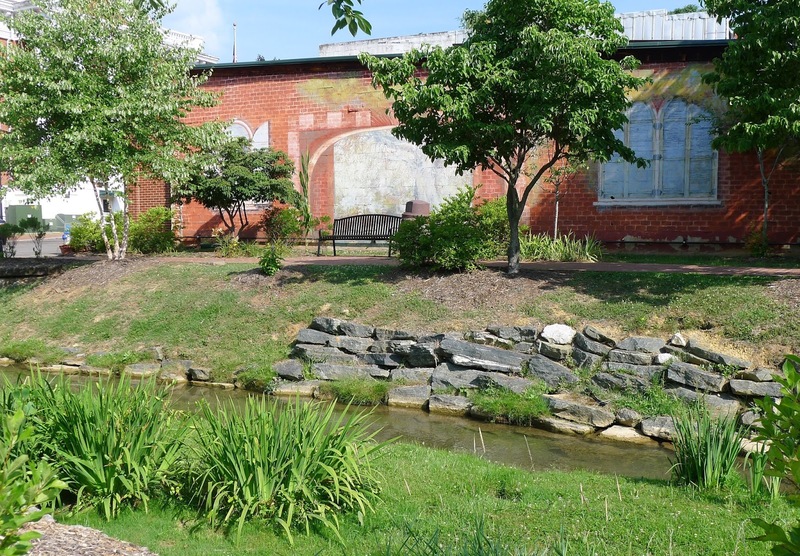 We lived just outside Jonesborough for about 20 years and miss it terribly. Thanks for stopping by the blog today. Love small towns and stories set in them. Can't wait to read this one! Me, too, Judy. Thanks for stopping by the blog today! The town I grew up in had an interesting run of similar old buildings! Looking forward to the new book! Thanks for the chance to win! It's the quintessential small town look, isn't it? So cozy! What beautiful pictures. I live in a small town between two large cities. Blue Plum is wonderful. I grew up in a small town during the years one could ride a bicycle and explore everything. Seeing your pictures brought back a flash of memories ..... Towns where time stopped, so are idyllic....as are your books. Thank you, Debra! It's a slice of time, a slice of memory (and in a cozy mystery it's often a slice of a knife - yikes!) Thanks for stopping by the blog today. The town I live in is small but the town's around here run into each other so unless you're local you can't tell where one ends and the next starts. Even small towns have sprawl. Nice places, though. Thanks for stopping by the blog! I live in a big city, but I love visiting small towns. I would love to move to a small town someday. Small towns are like comfort food, don't you think? Thanks for stopping by the blog today. I love small towns. We are looking to love right now but have three Grandchildren to consider. I would love to win your book. I am putting it on my the list. Thank you for this opportunity! Ah, grandchildren are a good consideration! Grandchildren and small towns are pretty nice combination, though. Thanks for stopping by the blog today. Thanks, Carol. There were so many more pictures I could have posted! The buildings remind me of some of the small, old, Eastern Oregon towns that relatives live in. I love the old painted brick buildings. I've never been to Eastern Oregon. I'd like to get out there sometime. Thanks for stopping by the blog today! Small towns and cozy mysteries are a good match, aren't they? Looks like a good read, thanks for the chance! You're welcome. Thanks for stopping by the blog! Thanks! It's hard to take a bad picture in Blue Plum. Lovely photos and a charming town. Just the right setting for fun and adventure! I love traveling across country on the old roads through the small towns. It gives a completely different flavor to travel, doesn't it? Thanks for stopping by the blog! I have one of your books in my "reading or else" pile for the summer. Love southern towns and mysteries together, but then to add knitting into the mix - you have just captured my heart! Thank you. And you mine with your kind words. Happy reading and happy knitting! Wow! That's a huge jump, Danielle. It must be a great place to be, or it wouldn't have grown like that. But wow! Gorgeous pictures. I want to live there. Reminds me a little bit of our town growing up. Thanks for the giveaway. Thank you! I'm sure you'd enjoy living in Blue Plum. Beautiful pictures! Looks like a place I could live. Come visit! I'll take you to Mel's for lunch. 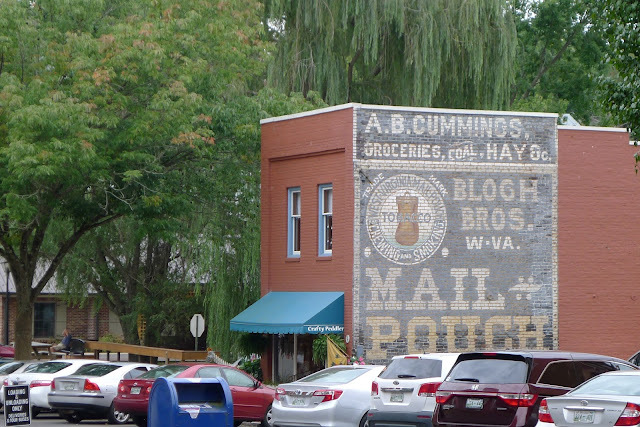 Small towns have a lot of the same problems as big cities, but they seem more manageable. And cozier! I live in a very large city. I can't imagine myself living in a small town but I love to read books set in small towns. Your pictures are beautiful, they might convince me to change my mind! Thank you! There are definitely advantages to big cities, too, though. Best of both worlds? A small town just the right distance from a big city. It's just like I pictured. I would love to visit Blue Plum someday. You should! Thanks for stopping by and leaving a comment, Cathy! Thanks! It's a town dear to my heart. Thank you! Yeah, tourists are an interesting combination of opportunity and problem. But how can we fault them for discovering how great our small towns are? Thanks for stopping by the blog! I love small towns in California! They are appealing, aren't they? Thanks for your kind words. I've not seen this series before, but I'm excited to read it! Thank you for a tour of Blue Plum...gorgeous pics! I'd love to live in a "Mayberry" type of town. I've visited Kelseyville, CA & would love to live there. Thanks for the chance to win Molly's book! Did you know that there really is a Mt. Pilot, NC? That was the "big" town that the Mayberry folks visited. It's a cute little place. Thanks for the tip about Kelseyville, CA! Almost identical to my hometown of Huntingburg, Indiana. I love small towns. Indiana has some cute little places. Thanks for stopping by! You are very kind! Glad you like it! Love the pictures! Grew up in a smaller part (Morgan Park) of a larger town (Duluth) - if that makes sense - back in the 40s. It does make sense. Small areas of larger cities can definitely have the feel of a "town." Lovely pictures. My hometown used to qualify as a small town, I'm not sure it does anymore. There's a big city pretty close by and it seems to have spread out our way in last decade or so. That's not necessarily a good or a bad thing, but I kind of miss when things were quieter around here. Thank you for the chance to win. Sprawl seems to catch up to us all, doesn't it? There's a vibrancy when more people and businesses move in, but then you kind of miss the slower pace and quiet. Ah well. Thanks for stopping by! This is a new series to me. Love the fact that it takes place in a haunted yarn shop. Can't wait to read. Definitely adding to my TBR list. Wonderful! I hope you enjoy the books. Nice photos. I enjoy this series very much. I live in what a lot of people think is a small town but I disagree. It is filled with so mush great stuff that it can't possibly be considered 'small town'. Thank you, Kathy, on both counts! I agree with you completely, Robin! I haven't read any of this series but would love to try it. Great pictures. Looks like a wonderful town. Thank you, Mary. The town of Blue Plum is dear to my heart (and to my author's heart, too). Loving the pictures thank you. Thank you for your kind words, Kristina! I'm pretty sure our author, Molly, would like to live in Blue Plum, too. I live in a small town and love it. (Hollister, CA) Thanks for a chance to win. I've seen pictures of Hollister. Nice place! Your town sounds enchanting, Marilyn! I live in a medium-size community but I love small towns. Medium towns can be well-done, too. :) Thanks for stopping by the blog, Peggy! You're a lucky duck to be able to raise your family in your hometown! Small towns have a great atmosphere, don't they? I don't live far from Jonesborough, TN and I want to read this series! Thanks for the giveaway!!! It's a beautiful corner of the world, isn't it? Love upper east Tennessee! You're welcome. Thanks for stopping by the blog, Amanda! You'd love it, Annette. 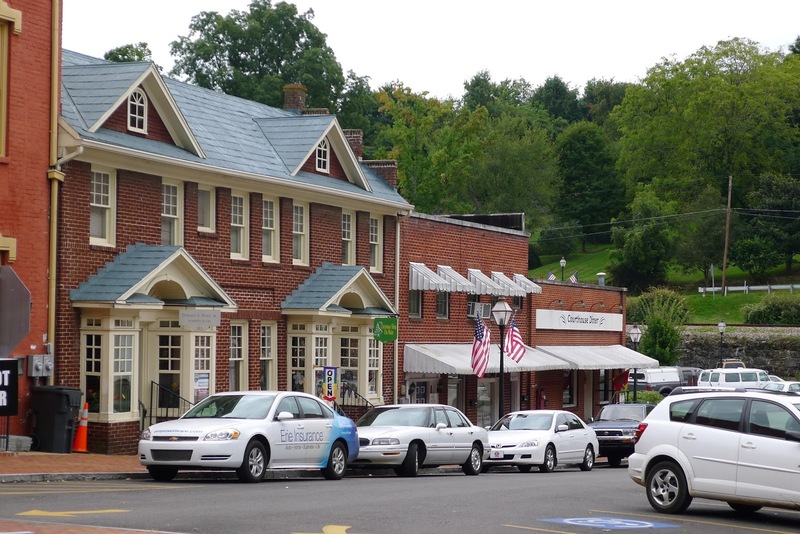 And you can actually do it, if you visit Jonesborough, Tennessee, where our author lived for almost twenty years. I like working in large cities and actually grew up in a large city, but always spent the summer in a small beach town. I live in a small town now and do love small town living! I would love to win any of these books!! My email address is: Pucsbride13@gmail.com. Thank you!!! You are awesome! I am no longer able to travel due to a back injury! These wonderful books take me on a journey I would never be able to have! thank you so muh! That's the magic of books. Nothing like them in this world. Thanks for being a reader! With all those lakes, Eagle River must have been a great place to grow up. Wisconsin and Tennessee are my two favorite states. Wouldn't it be fun to walk around Cabot Cove with Jessica Fletcher? Fun side note - in the book Murder, She Wrote: Domestic Malice, Jessica's bedtime reading is Lawn Order - a book by our author, Molly MacRae. How cool is that? And the winner of the random drawing is . . . Traveler! Congratulations, and thank you all for your comments.